Learn@EcoVillageIthaca is a non-profit education organization that partners with EcoVillage at Ithaca and others to deliver sustainability education. The Village generously supports this work, serving as launching point and living lab for many programs. While the three neighborhoods are organized as housing cooperatives, and EVI Inc. stewards the beautiful land, Learn@EcoVillageIthaca shares skills, knowledge and experience through a variety of educational opportunities. We coordinate tours, host immersion programs, and offer workshops and service learning experiences. Learn@EcoVillage is a project of the Center for Transformative Action, our 501(c)3 fiscal sponsor. Our staff includes 1 full-time and 1 part-time member, and countless talented and generous volunteers. 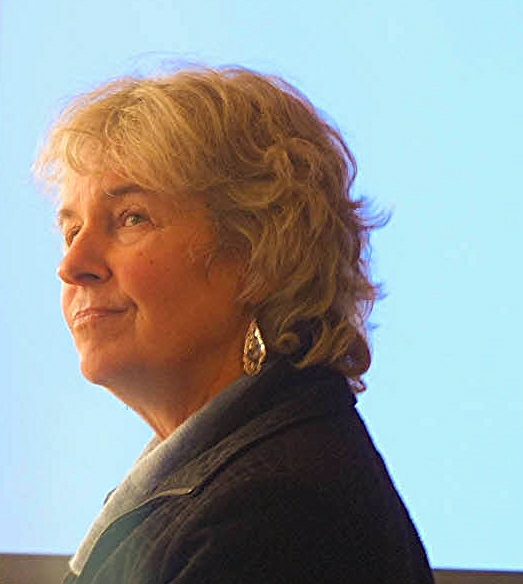 LIz Walker, Director and Co-Founder of EcoVillage Ithaca, has provided vision, leadership and prodigious hard work since the founding of EcoVillage at Ithaca in 1991. As collaborator, she has helped launch the Global EcoVillage Network and the GED curriculum, along with many sustainability initiatives in Ithaca NY. Her lifetime of experience as a grassroots organizer for peace and environmental groups give her a deep appreciation and commitment to building a new future that works for all. She is a engaging presenter, published author and welcoming friend to all who encounter her. Past programs include the Groundswell Center for Local Food and Farming, launched in 2009, which serves the needs of beginning farmers, homesteaders and food justice activists. The Welcome Home! EPA Climate Showcase Community Initiative, completed in 2014, focused on green building professionals such as architects, city planners, energy consultants and developers. We are a membership organization and welcome your participation in our work. Please contact us at learn@ecovillageithaca.org to get involved.